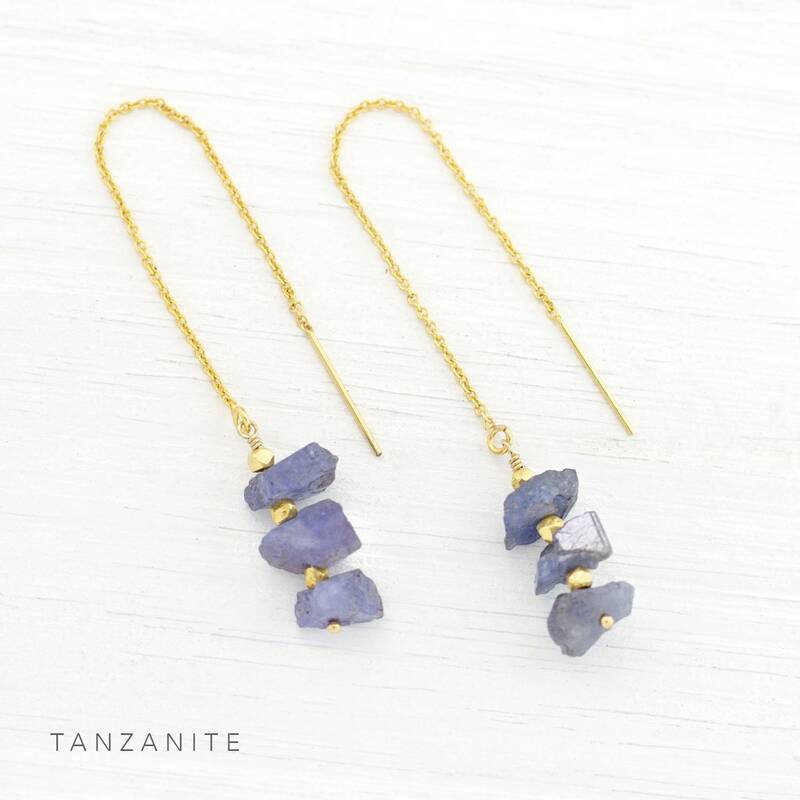 These are 100% natural raw gemstone chips in their most organic state. 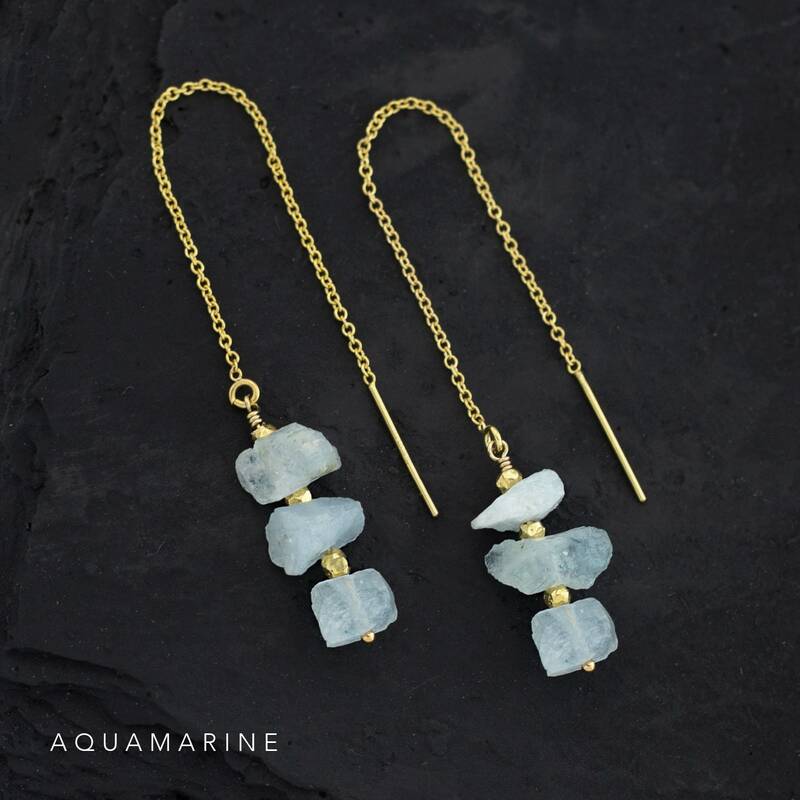 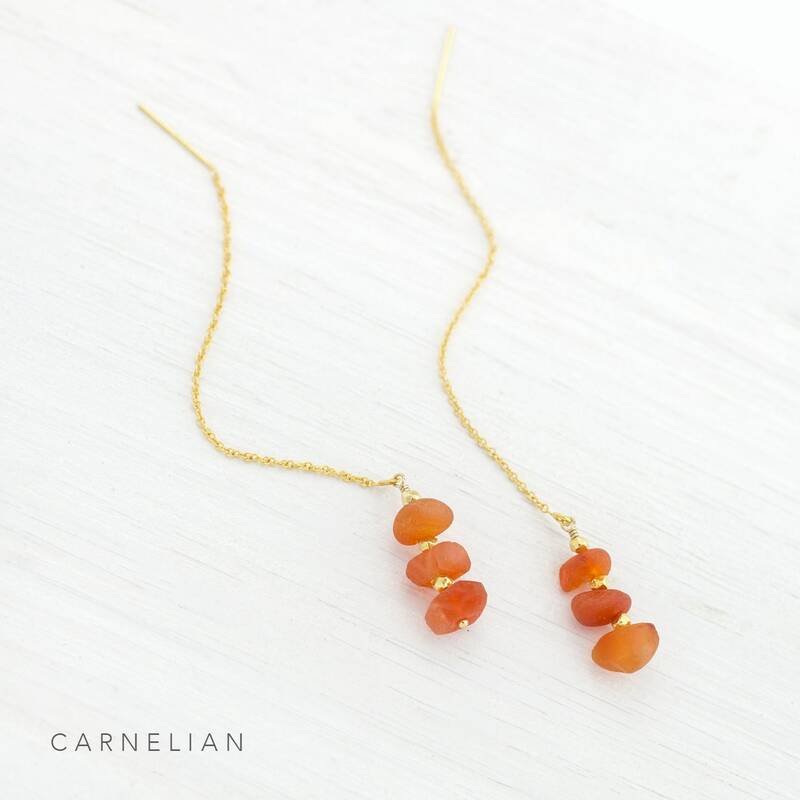 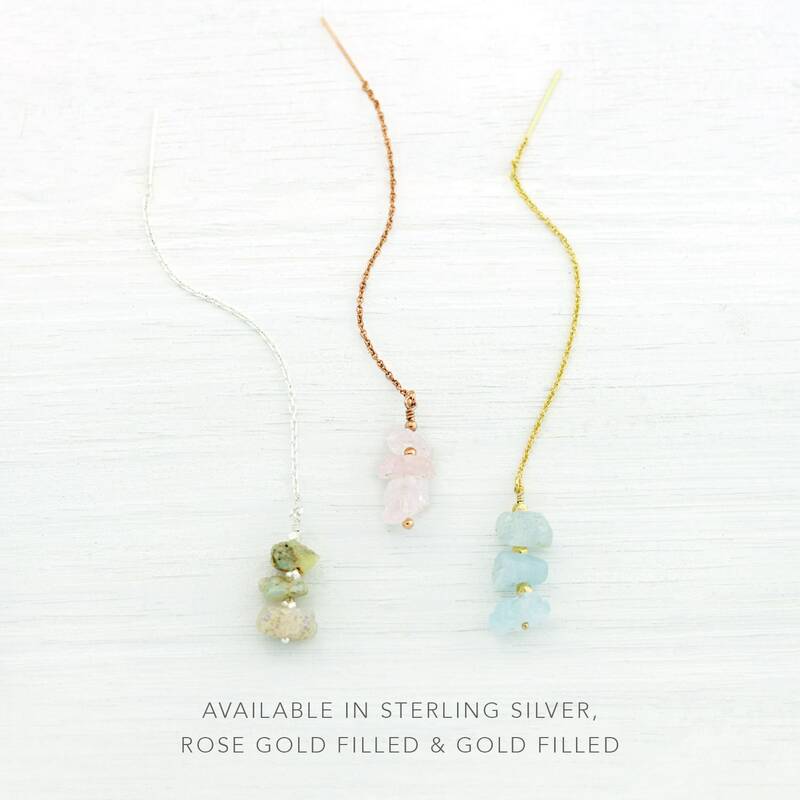 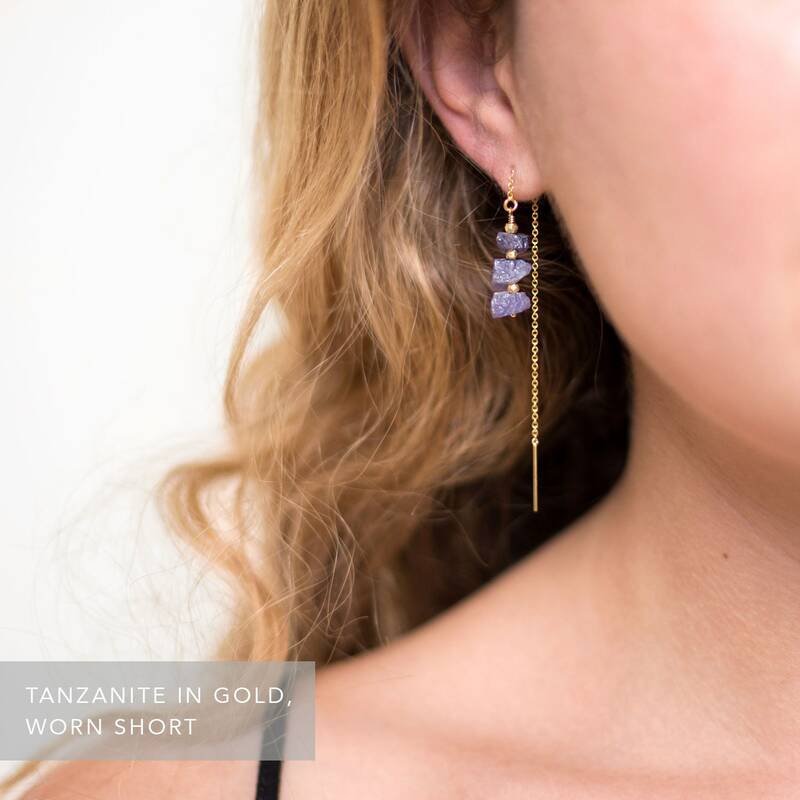 Hanging from a 14k gold filled, sterling silver or 14k rose gold filled threader chain, the stones contain beautiful inclusions and color variations. 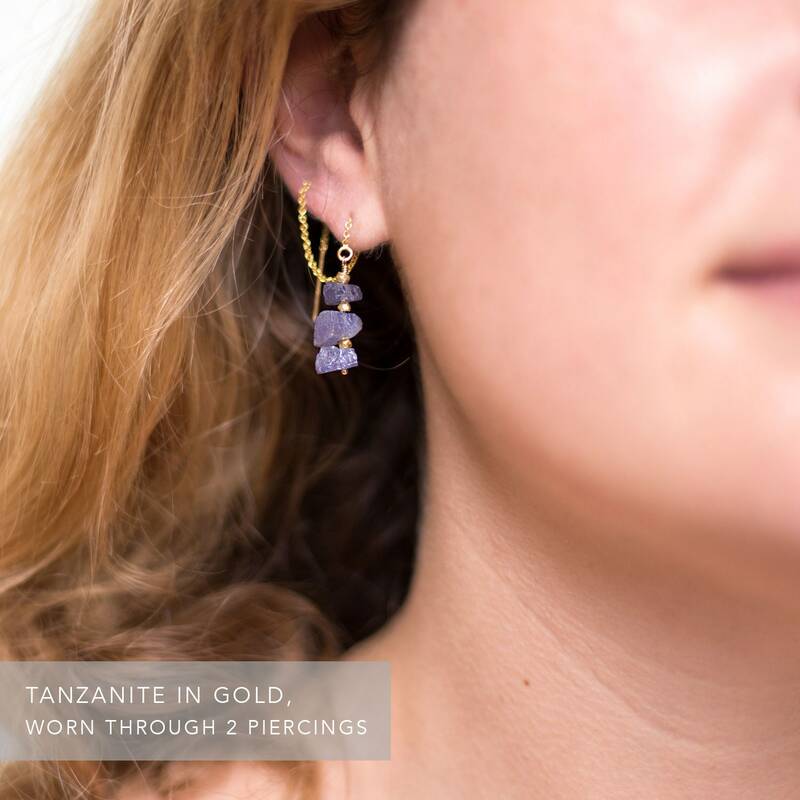 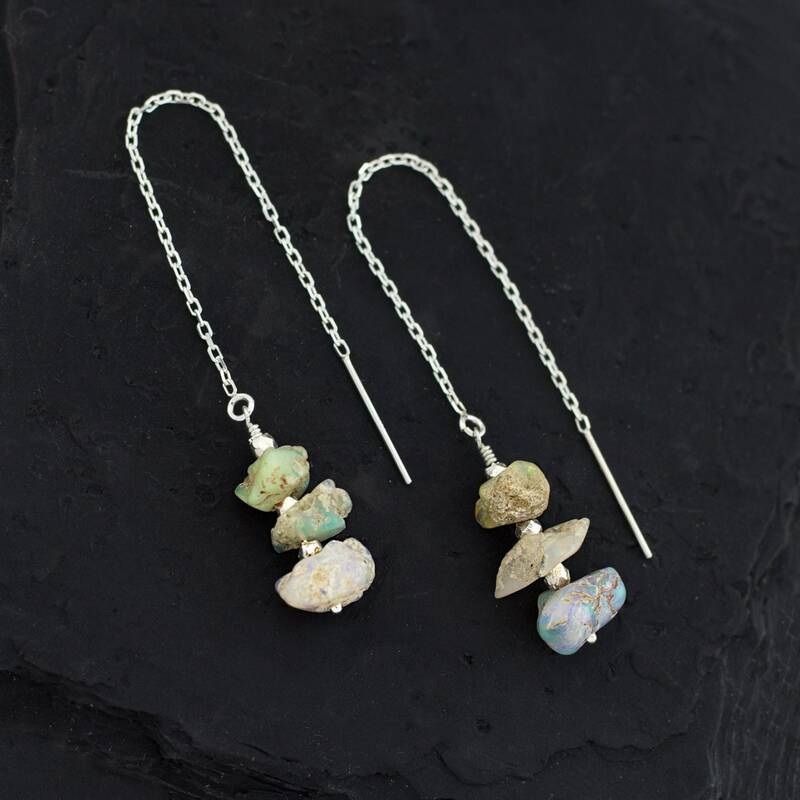 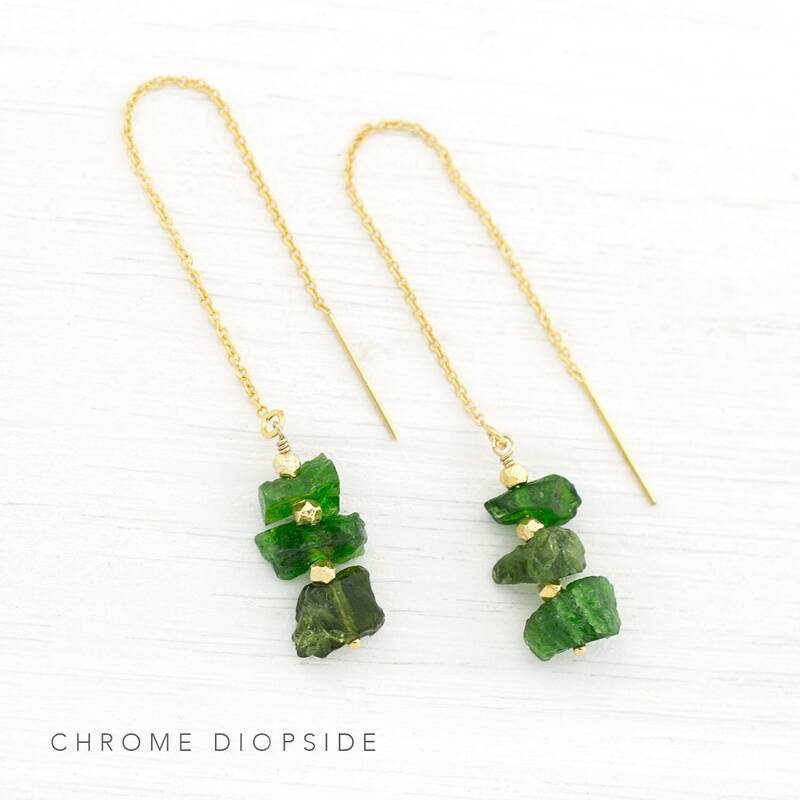 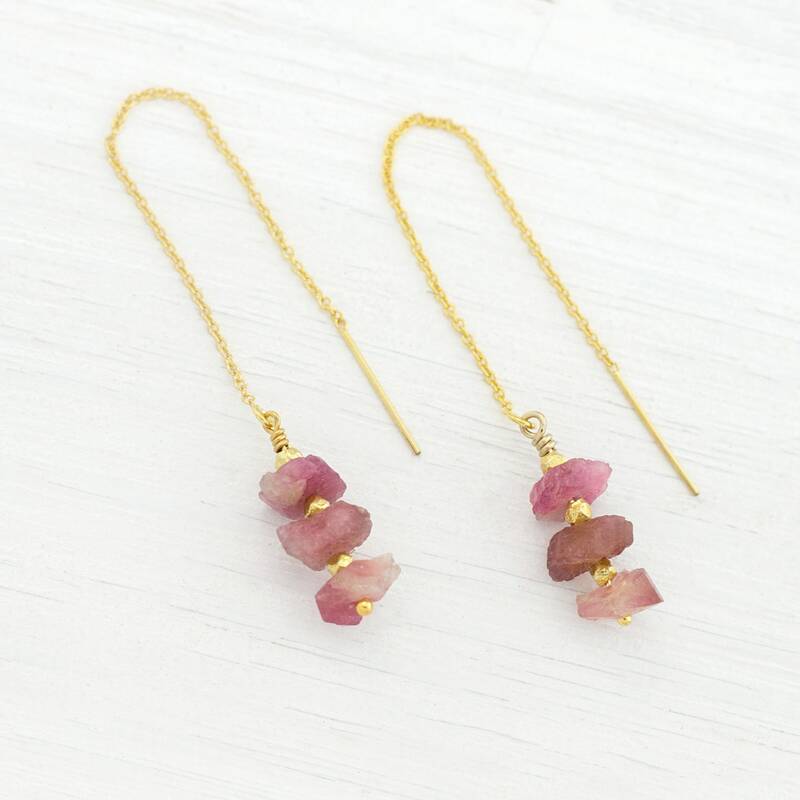 Available in 9 different gemstones! 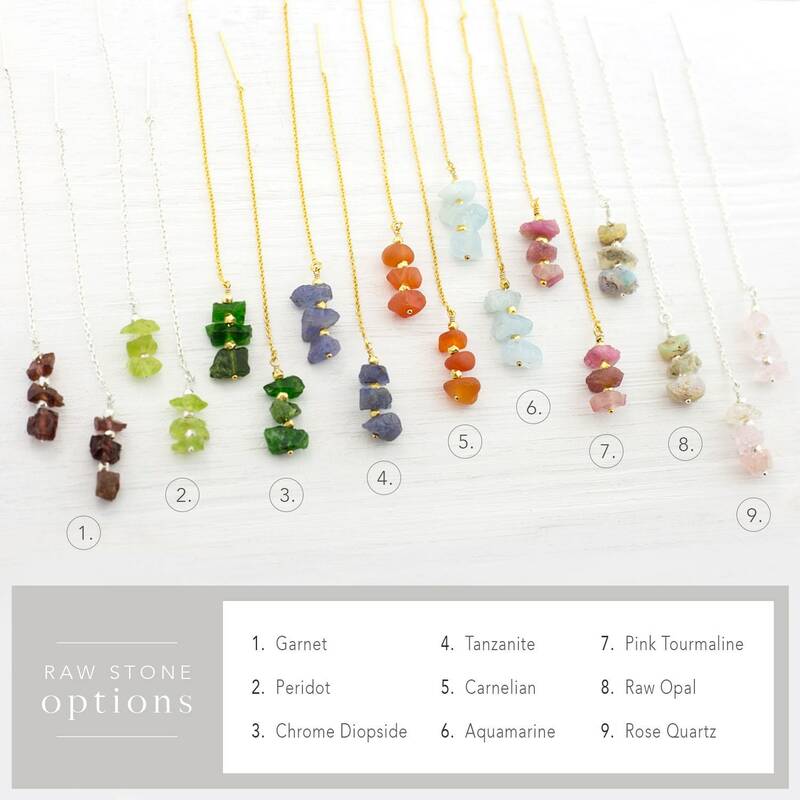 - Entire threader (chain and gemstone cluster) is 4"
- Gemstone cluster is .75"